The EmpowerSites.com Network provides free expert life (wellness), college success, marketing, and written communications information through empowering and transformative tools and resources across several Websites. The founding content providers for all of these sites are two professionals with a passion for empowering people with knowledge and skills to live better lives. We want to ensure your college, workplace, and life success by helping you with expert advice on living a better life, as well as strengthening your vocabulary and study skills and enhancing your writing and communications. We want to inspire you to live longer and healthier lives by offering practical and expert advice, not fads. We believe in the power of nature in renewing our spirits and ourselves, and we provide tools and advice on how to respect and visit our many state and national parks, lakes, rivers, and more. We are also small business owners with a proven track record of successful marketing and search engine optimization efforts, and we want others to have the same success we have had. EmpoweringAdvice.com -- practical and useful life hacks, tips, tools, suggestions, how-to articles, and more for succeeding in key aspects of life, career, relationships... Read more. MyCollegeSuccessStory.com -- providing expert tips and tools for academic success at the college level. Read more. EnhanceMyVocabulary.com -- expert tools and resources for strengthening, enhancing your vocabulary. Read more. 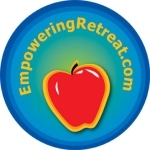 EmpoweringRetreat.com -- empowering tools for a healthy and happy life, including spirituality, nutrition, wellness... Read more. EmpoweringParks.com -- celebrating the transformative nature of our state and national parks, forests, lakes, rivers, and all open spaces. Read more. 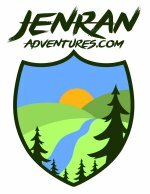 JenRanAdventures.com -- a travel and nature blog that follows the adventures of EmpoweringParks.com's Randall and Jenny Hansen. Read more. EnhanceMyMarketing.com -- assisting individuals and businesses succeed in marketing and search engine optimization efforts. Read more.